CompTIA is renowned for offering some of the widely recognized certification courses for IT professionals. Earning CompTIA certification isn’t piece of a cake but it requires your dedication & hard work. If you are an IT professional, then you must be familiar with CompTIA and its certification program. Being a credible vendor, the CompTIA company offers a number of certifications for the beginners and experienced IT specialists. The program includes IT fundamentals and credentials related to network, security, cloud technologies, and Linux. However, the most popular ones are the entry-level certifications, such as A+, Network+, etc. The main advantage of CompTIA certifications is that they are vendor-neutral, which means that the candidate can use the credential working with the products from different companies. Thus, credentials from CompTIA open many doors for IT specialists. However, very few people understand the advantages of CompTIA certifications, and how they will affect their career. If you are one of them, then you must try to understand more about CompTIA certifications, especially beneficial Network+, and then come to the decision whether opting for it is be a good idea or not. Let’s see what this certification can offer us. What is CompTIA Network+ Certification? Network+ certification is one of the most-sought-after certification provided by CompTIA. It opens multiple job opportunities for the budding technicians and IT professionals. In order to gain CompTIA Network+ certification, you have to pass certain certification exams which will assess your capability of handling computer networking functions, networking equipment, and troubleshooting network issues. If you want to get more information about this credential, you can visit the official CompTIA website. Who Can Opt for CompTIA Network+ Certification? For an IT professional, CompTIA Network+ certification is one of the best ways to kick-start the career. Since this is an entry-level certification, there are no prerequisites to take the exam. Despite saying this, it is important to highlight that this exam is best suited for the IT technicians, network technicians, and other IT professionals who are interested in making their career in the networking field of the industry. It is recommended to have CompTIA A+ certification and a minimum of 9 to 12 months of working experience in networking, as this will help you in passing the performance-based CompTIA Network+ certification exam. 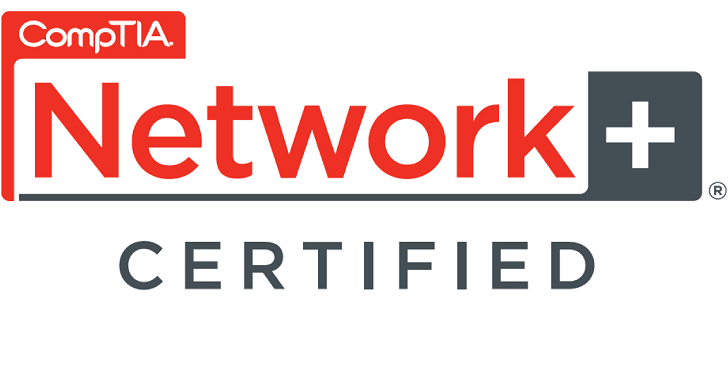 Another important detail about Network+ is that this credential can serve as a stepping stone to another core CompTIA certification – Security+. How Many Exams Do You Need to Pass to Become CompTIA Network+ Certified? You need to pass only one exam in order to become CompTIA Network+ certified. There are two versions of the exam: N10-006 (the old one) and N10-007 (the new version of N10-006). CompTIA Network+ N10-007 exam was launched in 2018, whereas CompTIA Network+ N10-006 was launched in 2015. It is important to understand that CompTIA certifications are renewed every three years. This means it is better to opt for the new version – N10-007. However, it is considered better to know the exam details of both N10-007 and N10-006 exams. What are the Exam Details of N10-007 and N10-006? CompTIA N10-007 exam has been updated from N10-006 exam and now includes newer hardware concepts, current virtualization methods, new cloud computing models, critical security issues, and the latest networking technologies. In both the, a maximum of 90 questions could be asked in a test of 90-minutes duration. The passing score is also the same in both exams – 720 (on a scale of 100-900). However, the experience recommended earlier was at least 9 months in networking, but now it is better to have 9 to 12 months of experience. The available language for N10-007 exam is English (German, Portuguese, Japanese, and Spanish languages are currently in development). On the other hand, in CompTIA N10-006 exam the available languages are English, Spanish, German, Arabic, Japanese, and French. If you are planning to take the old version, then you must remember that CompTIA Network+ N10-006 exam measures your skills in the configuring and troubleshooting of network issues of both wired and wireless devices. Apart from this, you will also have to show your skills in virtualization technologies and cloud. The comprehensive information about the topics of both exams can be found on the official CompTIA website. The available English version is retiring on August 31, 2018, whereas the other languages will retire on January 31, 2019. How to Pass N10-007 Exam or N10-006 exam? There are IT training courses available for both exams N10-007 and N10-006. You can buy them and start your preparation. Make sure you do not forget that these exams are performance-based so your knowledge on the fundamental concepts of networking must be clear. Use self-study books and study guides and you will not regret. These resources will enhance your knowledge about the latest Networking technologies. Do not forget to choose a book of the latest edition and written by the author who is an expert in networking. When you solve N10-007 exam dumps from Prep-Away,you get an idea about the level of the exam. You learn what kind of questions can come in the main exam and so you prepare accordingly. That is why exam dumps of CompTIA Network+ Practice Test and N10-006 are quite helpful in becoming CompTIA Network+ certified. There is a unique and advanced way of preparing for the IT certifications. When you opt for Exam Testing Engine, you get to know your weaknesses and learn how to improve your speed in the exam. Perhaps that is why these days most of the platforms that help you in the preparation of IT certification exams, offer you Exam Testing Engine at a competitive price. However, you should make sure that you select the Exam Testing Engine of high quality. Earning IT certification is not at all easy, especially if you try to get CompTIA credential. If you want to attain CompTIA Network+ certification, then you have to pass either N10-007 exam or N10-006 exam. Both versions are valid now. However, it is highly advisable to opt for the newer version as it validates that you have the knowledge and skills in the latest Networking Technologies and new virtualization and hardware method. You can easily pass either of these exams by using the aforementioned preparation materials. Why GRE Practice Tests Are Important?